A wonderfully entertaining evening for all who were there – Grahame gave us an outstanding talk centred on his research which was subsequently published as Howzat? The Six Sixes Ball Mystery. 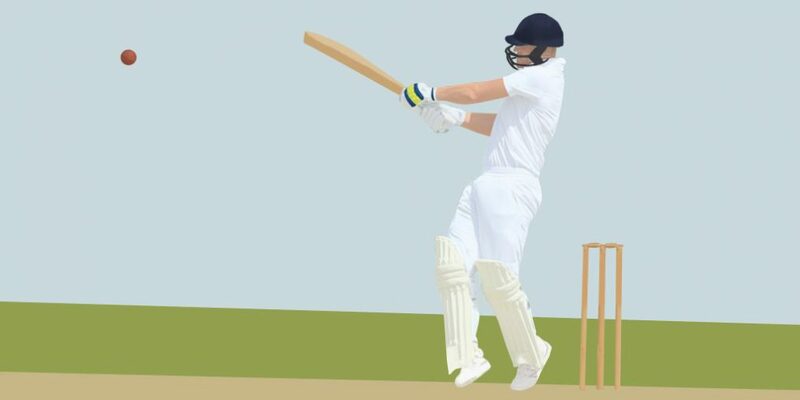 We were shown original BBC TV footage of Garry Sobers hitting six sixes in an over at Swansea in 1968 to set the scene of the whodunnit before Grahame told us of his quest to prove that the ball sold at auction for £26,400 in 2006 was not the ball bowled in 1968! 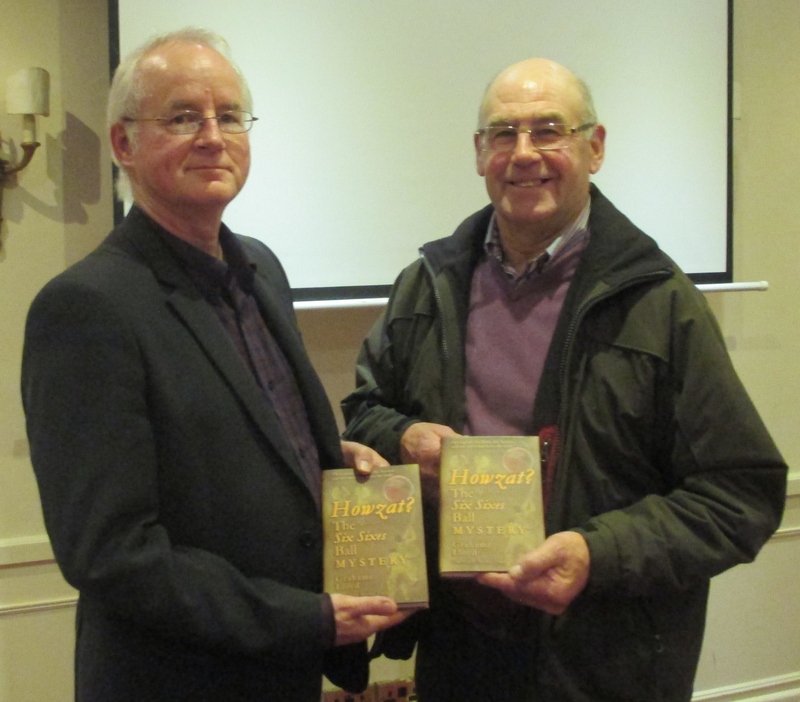 Grahame Lloyd (left) and John Parkin with copies of Howzat? John Parkin, the former Nottinghamshire CCC batsman who was actually batting with Garry Sobers when he hit the six sixes, was the special guest of the evening and treated us to his recollections of the historic event. This part of the evening wonderfully complemented Grahame’s talk and although John was incredibly modest about his role, the reception he received from the audience was worthy of Sobers himself! A brilliant evening, heartily recommended to any other cricket societies, clubs, libraries or bookshops.